The Queen Anne-style house at 1635 G Street in Eureka. 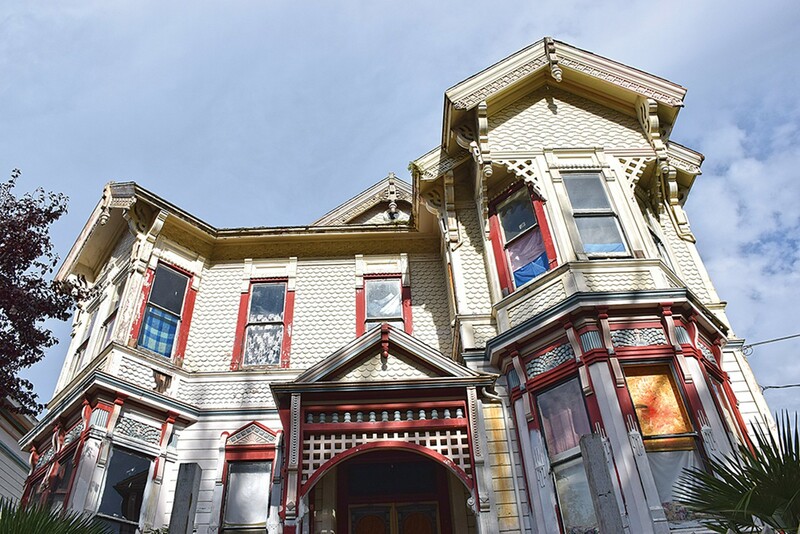 While the Queen Anne-style house at 1635 G St. is considered to be one of Eureka's architectural gems, the once opulent two-story structure is now a shadow of its former self. The ornate exterior has fallen into disrepair with broken windows encased in plywood instead of glass. Hallways where Eureka's elite once walked have seen squatters shooting up drugs while garbage piled up in the backyard, according to a city inspector and a District Attorney's Office investigator who made multiple visits in response to tenant complaints. The nearly 130-year-old former private residence has been converted into a boarding house. Several of the individual rooms are missing doors. In one, an open umbrella hung outstretched from the ceiling in an attempt capture water leaking from the roof. In another, according to the inspection reports, a bare lightbulb dangled from an electrical cord. 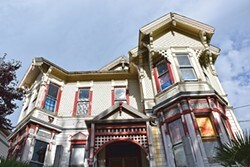 The property is one of 26 owned by Floyd and Betty Squires that are undergoing, awaiting or have already been through repairs after a judge placed the couple's holdings into what's known as a "receivership" in 2013 ("G Street Squat," Nov. 24, 2016 and "Suing Squires," Sept. 1, 2016). 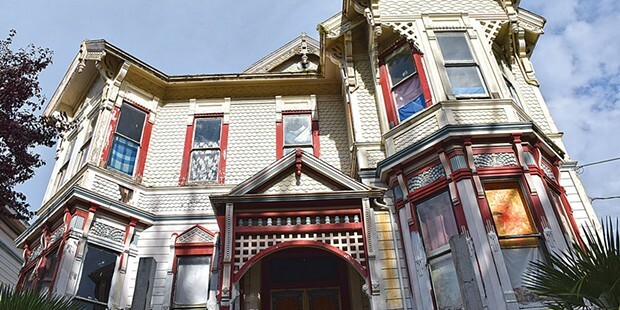 While the 1635 G St. home and others had been signed off as completed in that process, many have "now been returned to their unsafe and dilapidated condition with new additional code violations," due to the Squireses' pattern of neglectful management practices, according to court documents filed by the city. Meanwhile, the properties in the most serious condition have not even begun repairs. At a hearing scheduled for Feb. 10, the city will be asking Judge Dale Reinholtsen to completely wrest control of the properties away from the couple, stating in a strongly worded motion that failure to do so not only puts their tenants and the public in danger but also opens the court up to potential liability if someone is injured or a disaster were to occur. 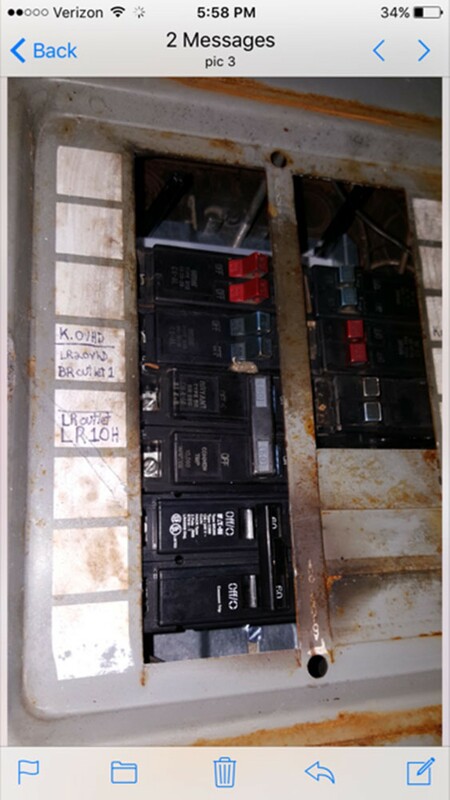 "It has come to the point where it is clear that (the Squireses) cannot properly maintain their properties, cannot timely conduct repairs, and cannot effectively complete such repairs, or keep their properties safe for the community and the tenants that reside at the properties," the motion states. "(The Squireses) are merely permitted by the Court to continue their longstanding exploitation of their residents. And since the Court is responsible for the present condition of these properties, it must take immediate action to remedy the code violations that still persist at Respondents' properties." The Squireses' attorney, Bradford Floyd, said most of the city's assertions were "fiction" and reiterated that "almost every property has been signed off by the city and the court." "The city claims that they filed the motion because of the shooting that occurred at 1635 G St. (in December) and, yes, that happened. But I fail to see how that is Mr. Squires' fault," he said. "This has nothing to do with the good citizens of Eureka," Floyd added, stating that much of the damage at 1635 G St. was caused by an angry tenant who broke out 16 windows and tore down part of a banister. "This has to do with the city of Eureka's dislike of Mr. Squires and trying to financially ruin him." One of the main issues, according to the city, is the hybrid system that Reinholtsen agreed to in the Squireses' case, which veers from the traditional method of giving a receiver complete control over the abatement process — including the ability to take out loans on a property and collect rent to pay for repairs. Instead, the Squireses have continued to oversee projects with receiver Jeff Smith outlining the work that needs to be done and reporting back to the court on the progress. For his part, Smith said that he can understand the city's position but "I work for the court." "I do what the court directs me to do, not more or less," he said. Meanwhile, six years has passed since the city first filed for a receivership over the 26 properties in January of 2011, citing persistent "substandard and unsafe conditions." Over the course of 2016, attorneys for Eureka filed two other times to take the Squireses out of the equation. Now the attorneys for Eureka are asking once again: Either put Smith fully in charge or get another receiver. "It's obviously been a long, drawn out process to get where we are and then to have properties revert back to very similar positions, for the most part right after being signed off, is problematic," said Brian Gerving, Eureka's public works director and chief building inspector. "The goal of a receivership is to quickly and comprehensively — and once and for all — resolve violations at the properties," he said. "Six years into the case, it's just not working out that way." According to the city, the filing of the motion was prompted not only by the December shooting at 1635 G St. but the continued delays, backward progress and the Squireses' continued inability to properly manage their properties. 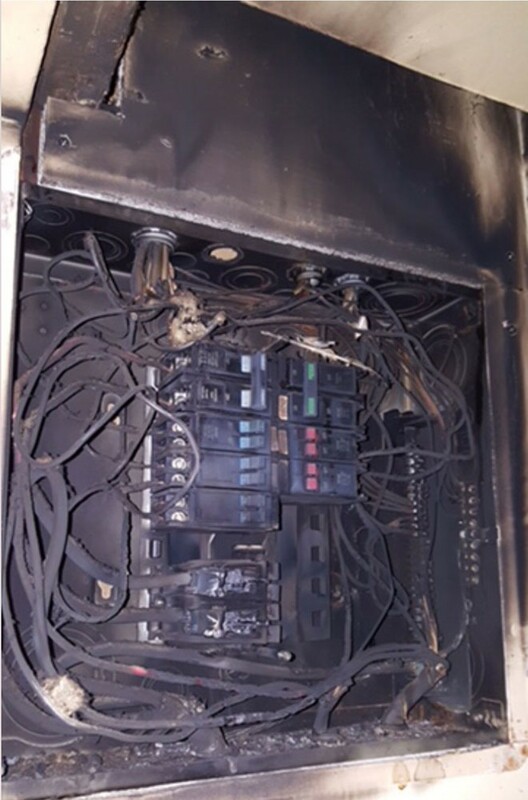 That includes, Gerving said, making hazardous repairs without permits or inspections as recently as last week after a subpanel caught fire at 1625 G St., just next door to the Queen Anne home. Meanwhile, G Street neighbors have taken to writing the couple to express their concerns and circulating a petition. The latter apparently caught the attention of Floyd Squires, who appears to have left notes for some of his tenants. Squires did not return a phone call seeking comment and Floyd, his attorney, said he was not aware of the communications. 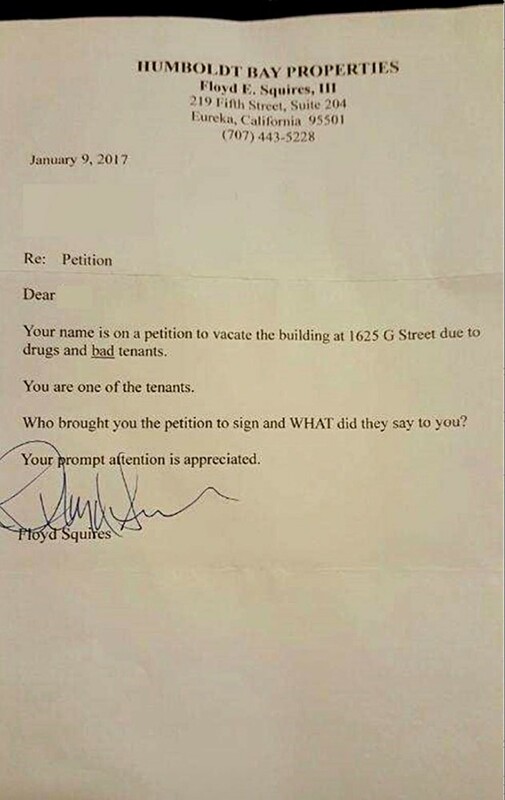 "Your name is on a petition to vacate the building at 1625 G Street due to drugs and bad tenants," reads the typed note on Humboldt Bay Properties letterhead with Squires' name and signature. "You are one of the tenants. Who brought you the petition to sign and WHAT did they say to you? Your prompt attention is appreciated." Squireses' Properties? Going, Going, Gone?